Watches speak loads about your personality, and complement your fashion statement. These beautiful and elegant pieces of jewelry are an essential part of the wardrobe. Luxury watches are something very different from regular watches that we wear for our everyday use. These timepieces are crafted by master artisans who are adept in the art. Further more, these items are studded with precious metals and gems. Since there are many luxury watch brands, it might become hard for people to choose the right one form them. Thus, we have an article for you that listing the most renowned and respected luxury watch brands along with their history and features. So you can choose the one which appeals to you the most. In this list, many of them are also the most expensive watch brands. Widely regarded as one of the most prestigious luxury watch brands. 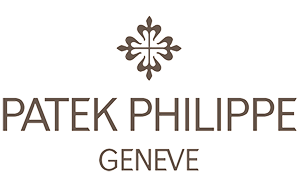 Patek Philippe is a brand that commands enormous respect in this industry. 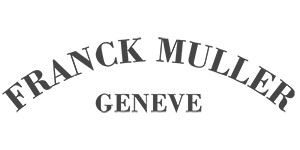 It was founded in the year 1893 in Geneva initially as a pocket watch company. But since then this brand has flourished and has a huge list of successes to their name. Some of the most significant achievements that Patek Philippe has to its name are being the first company to add the chronograph, the perpetual calendar, the split-seconds hands, and a lot more. Innovation and Patek Philippe go hand in hand. And this brand has been deemed as a pioneer in the watchmaking industry. Watches by Patek Philippe come at a hefty price and given the fact that every single model by them are masterpieces. In a word, they are worth every penny. The legacy of Vacheron Constantin begins in the year 1755 when Jean-Marc Vacheron created a timekeeping masterpiece out of some very basic materials. Its legacy continues to this day, and every model that rolls out of the company is subjected to critical scrutiny at their Geneva Office. This is done to ensure every single model rightfully deserves the Hallmark of Geneva Seal of Approval. The watches by Vacheron Constantin are pure excellence. And there are several precious and rare metals and stones that go into the making of them. In addition, brilliant craftsmanship is another aspect of the watchmaking process that makes their watches stand out and stay a league above all others. 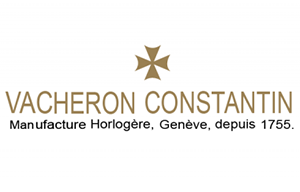 Vacheron Constantin is the brand to look for if a luxurious and exquisite piece of jewelry is what you seek. 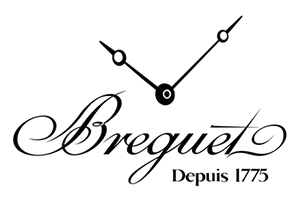 Breguet is a brand that has been in existence for almost two and a half centuries now. Thus it is one of the oldest and most respected names in the industry. The company was founded in the year 1775. And since then it has become one of the most accomplished and successful luxury watch brands. Additionally, it is one of the most expensive watch brands now. It has developed some of the most innovative and prominent inventions in the horological history. These include the self-winding watch, the tourbillion, the guilloche dial and much more. Watches by Breguet were in high demand among the upper classes of Europe throughout the 18th century extending till early 19th century. Several princes and queens pledged their allegiance to this brand. And there are several literary references to this brand of watches from that era. 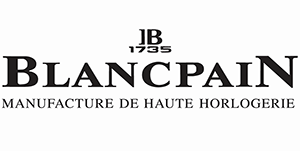 Blancpain proudly boasts of being the oldest watchmaking brand in existence. It has established way back in the year 1735 in a town name Villeret in Switzerland. This brand stays true to the Swiss tradition and is committed towards the production of the highest quality, hand assembled mechanical watches. Luxury and elegance are synonymous with Blancpain. And their watches are among the best that you can lay your hands upon. Every single watch by Blancpain goes through several tests that examine several aspects of the watch. Some of these tests include the accuracy of the measurements, fatigue. Which is how the watch will perform over an extended period of time and the resistance of the watches against thermal, magnetic and mechanical shocks. This all make sure every watch made by Blancpain is super quality. 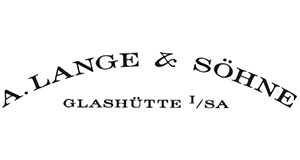 A. Lange & Shone traces their roots to a town named Glashutte in Germany where it was founded way back in the year 1845. It is one of the best luxury watch brands and one of the most expensive watch brands. Watches by this brand are regarded to be among the finest and most elegant watches in the whole wide world. Their watches combine great mechanical innovation, brilliant detailing, and high-quality materials. A very intrinsic quality of A. Lange & Shone is the fact that they make exclusively mechanical watches that are usually made of 18 karat gold or platinum. Moreover, silver is the material that usually used for the bridges and the plates of the movement. In fact, the design and detailing of watches by this brand is so unique and distinctive. It is very easy to identify a watch by its name. Franck Muller is a brand that is named after its founder. And he was a man who had devoted his life to the creation of highly complex and beautiful watches. The brand which was founded quite recently in the year 1991. Today it is among the leaders in the field of luxury watches with the company boasting of several exclusive lineups of different watches endorsed by big celebrities. They stay quite true to their slogan “Master of Complications” with their timepieces being very sophisticated and loaded with unique and convenient features. Watches by Franck Muller are renowned for their fusion of contemporary American styles with traditional Swiss manufacturing. The most significant factor that makes the timepieces unique is their signature Cintree Curvex shape that looks fascinating. Glashutte is a brand that has a rich heritage in watchmaking with a long history of 165 years being in the industry. This German maker of luxury watches based in the town of Glashutte. And now it is among the few watchmakers that use their own movement. In addition, the company also boasts of 10 proprietary movement innovations to their name. Currently owned by the Swatch Group, this is a brand that has won hearts across the globe with their brilliant designs and precise movements. This brand manufactures exquisitely engineered and top end watches that are a treat for the eyes. The designs of their watches can range from pretty straightforward and simple to very complicated and detailed designs. The Watches by Franck Muller are made with 95 percent in-house components, which are relatively rare among luxury watch brands. 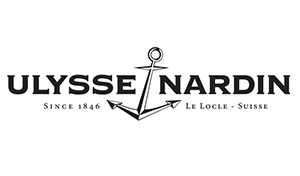 Ulysse Nardin has a rich history of excellence and success. It is one of top luxury watch brands that was founded in the year 1846 by its founder, Ulysse Nardin. He was trained in the art of watchmaking by his father from a very small age. Later on in his life, this man went on to win 18 international gold medals. Being founded by a great man like him, this company was bound to succeed. Now it has become one of the most successful and expensive watch brands in the world. Ulysse Nardin has produced some of the most complicated watches in the industry and is the most widely known for their marine chronometers. These marine chronometers have become collectors’ items and have also been used by navies of over 50 countries. 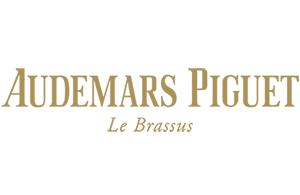 Audemars Piguet is undoubtedly a brand that is at the very top of the game. And it is one of the best luxury watches brands in existence. This ultra luxury Swiss brand was founded in the year 1875 by the watchmakers Jules-Louis Audemars and Edward Auguste Piguet. The name is very well known for their ultra complex timepieces and its precise movements. Opulent and elegant designs are another defining characteristic of Audemars Piguet watches. And they are made of the finest materials including gold, platinum, and diamond. Additionally, their watches feature a wide array of complications like the moon phase, split second chronographs, and the perpetual calendar with leap years. The Royal Oak collection by the brand is perhaps the best known and most widely acclaimed collection that features distinctive octagonal bezels and tapisserie dials. 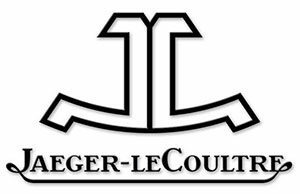 Jaeger-LeCoultre is a brand of luxury watches that was founded in the year 1903 by a Parisian watchmaker named Edward Jaeger. He initially sought to establish a trade relationship with a Swiss company to produce ultra-thin calibers which he had invented. This trade collaboration ultimately led to the formation of the company Jaeger-LeCoultre. It has a vast collection of small and luxury watches which are considered to be some of the finest in the world. 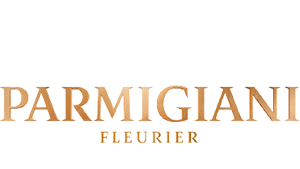 Founded in the year 1996, Parmigiani is one of top Swiss luxury watches brands based in Fleurier, Switzerland. Since the very beginning, this company has strived to restore the value of Swiss watchmaking art. And all of their watches are hand-crafted. Each of their watches takes at least 400 hours to make and are created with by adept artisans with utmost care and effort. The watches by Parmigiani are designed exclusively with precious metals and stones. And only a few thousand pieces of their watches are made each year in order to create exclusivity. Moreover, the Bugatti 370 a driving watch produced by the brand in the year 2006 which was based on the Bugatti Veyron supercar won the “Watch of the year award” by the Japanese press. 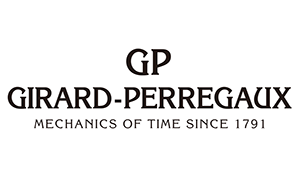 Girard-Perregaux is a top end luxury manufacturer of Swiss watches that has its origins dating all the way back to 1791. The company is situated La Chaux-de-Fonds in Switzerland. And it is a part of Sowind group which is a subsidiary of Kering. Additionally, it is also one of the few remaining authentic Swiss manufacturers. This is a brand that is admired and respected for their expert craftsmanship in every aspect from design to movement to the casing and every other aspect. Every piece is subjected to critical quality checks to ensure they are flawless. This brand owns over 80 patents and has a long history of innovation in their journey of over two centuries. The first commercially produced wristwatches were by this brand and so were the first Swiss quartz watches. Richard Mille is a renowned name in the luxury Swiss watches arena that was founded in the year 1999 in Les Breuleux, Switzerland. The success of this company is based upon three primary elements – the best of technical innovation, elegant architecture, and elegant artistry. What sets apart this brand from the rest is the heritage and cultural value every timepiece carries. The most famous models of this brand are perhaps the Tourbillon RM 008 and Chronograph Tourbillion RM056, both of which are sensations in their own right. When the Chronograph Tourbillion first came out at the start of the millennium, it was immediately heralded as a revolutionary product in the world of watchmaking. 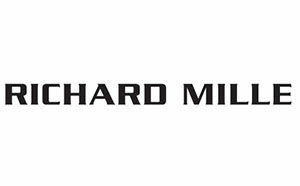 By always reinvigorating and reinventing their technology, Richard Mille has come to be one of the most respected names in the business. 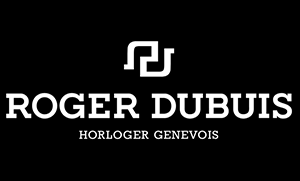 When it comes to luxury watches, very few brands, and respect as much as Roger Dubuis. Founded by Roger Dubuis and Carlos Dias, this company manufacturing luxury watches came to the market in 1980. After serving Patek Philippe for 14 years in designing complicated timepieces, Dubuis himself decided to launch his own brand. Then he was joined by Carlos Dias who was working as a designer for Franck Muller. They launched the brand together, and it went on to become the name it is today. The company’s claim to fame mainly came from their striking balance between traditional watchmaking and avant-garde design that are said to be timeless. The timepieces went on to become big names themselves due to their excellence and exceptional craftsmanship that’s hard to match. This is one of the best luxury watch brands, which is a wholly owned Compagnie Financière Richemont S.A. subsidiary. Officine Panerai manufactures, designs, markets, and sells luxury timepieces through company-owned boutiques and dealers from around the world. The history of this brand goes back to 1860 in Florence, Italy, where it was founded. This company markets their products for being an excellent blend of Italian design and unbeatable Swiss technology that simply the best. 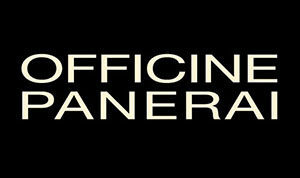 Officine Panerai has four broad categories of watches – Contemporary, Historic, Manifattura, and Special Editions. Most of these models are manufactured in small numbers to maintain an image of exclusivity in the market. Perhaps the most notable achievement of this company in recent times was that it signed a five-year contract with Ferrari to manufacture and distribute watches carrying the Ferrari name.